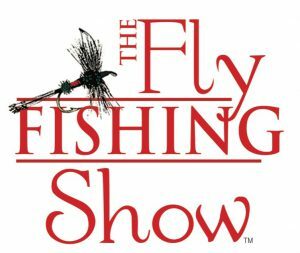 We had a wonderful two days this past weekend at The Fly Fishing Show in Marlborough, MA. 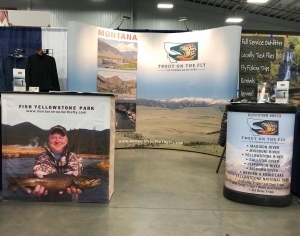 Friday and Saturday we had non stop attendance at our booth, keeping all three of our representatives busy with questions and inquiries about everything fishing in Montana. We received about 8″-10″ of snow on Saturday night that continued into Sunday and, as a result, the show attendance was minimal at best on Sunday. I presented my power point each day on When & Where to Fish the Madison River. Several anglers came to see my talk on both Friday and Saturday. Sunday was a no show at my talk, which was okay, it gave me the opportunity to take in a presentation which is never an option as I am so busy at the booth or giving talks. The presentation I was able to sit in on was by Bob Clouser, a legend in our industry to say the least. You can never stop learning in our sport. Thank you to all who stopped by our booth; we hope to see you in Montana soon! January 25, 26, & 27, 2019. We have had some great responses to our new website and some helpful corrections that needed to be made. In the last newsletter in the section about our new vacation rental, some folks said that the link to The Noble Bison was not sending them to the appropriate location within the site. Hopefully, this is corrected. These are the little things that will be hammered out over the next few weeks as they become apparent. We hope to see you in New Jersey this upcoming weekend!